Stockport Engineering Training Association Ltd (SETA) is committed to ensuring that employers have the skilled technical workforce for future growth. Engineering Apprenticeship address industry skill shortages and develops technical skills for your company. A strong Apprenticeship programme is a key factor in helping to achieve those goals. This information is designed to assist you the employer who wants to introduce or improve an Apprenticeship programme in the workplace. It provides information on the support, funding and guidance available to you. It also makes you aware of the commitment that you need to make to any potential apprentices. What is an Apprenticeship training? Participating in an Apprenticeship programme ensures that you will have an employee that is not only trained to industry standards but you have the opportunity to introduce them to your specific workplace conditions and requirements. An Apprenticeship programme will support the future needs of your business, address skills shortage ensuring your workforce of the future has the relevant skills, knowledge and commitment required to keep your business developing.  SETA have almost 50 years of experience providing Apprenticeship programmes, many of clients have told us (and there is lots of other evidence available) that the apprentices that were hired developed a loyalty to the company, this in turn leads to a more stable and reliable workforce. At SETA, we proactively promote engineering and apprenticeships to young people and offer guidance to help them to decide which career path is best for them. The Apprentice needs a written contract of employment and a minimum Apprenticeship wage. Recruitment and Aptitude Testing to help with your interviewing and selection of apprentices. Consultation with the employer to develop an appropriate training route for the apprentice. Development of further technical skills required by the employer. Funding towards day release at college to complete an appropriate technical certificate. Funding towards the NVQ 2 and NVQ 3 apprenticeship qualifications. Work based training and assessment with the help of SETA assessors to complete the relevant engineering NVQ3. Consultation with employer on apprentice training progress.